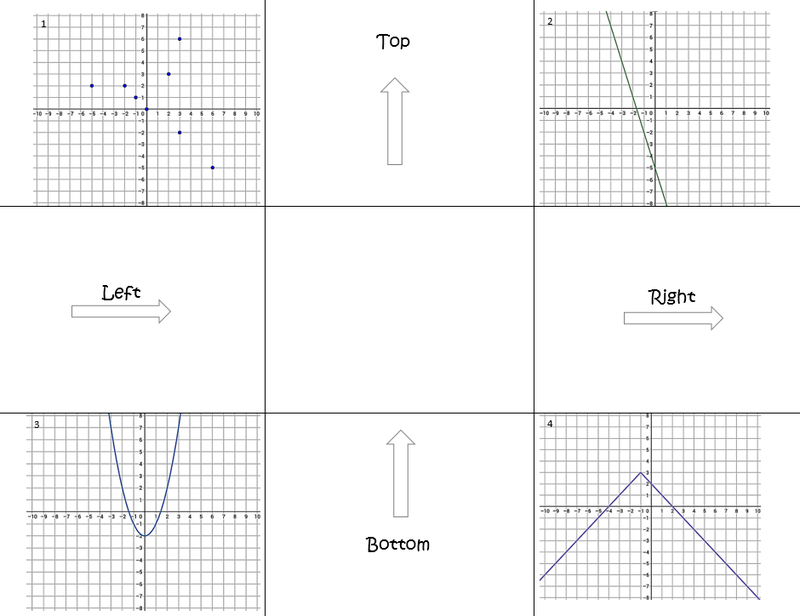 I was intrigued by Sarah Carter’s Domain and Range Cards on her Math=Love blog. 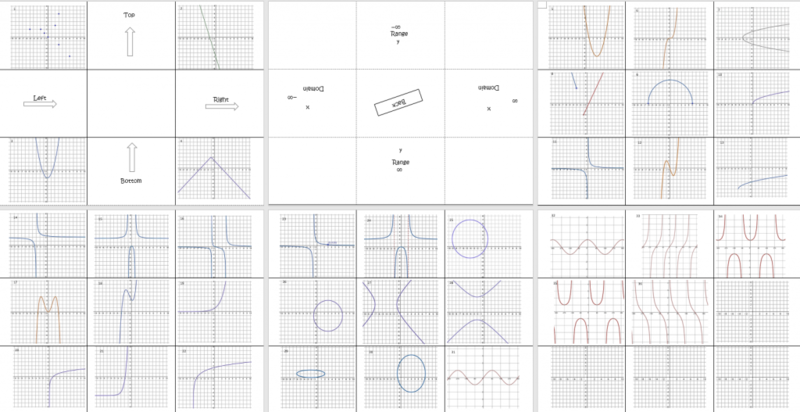 I was afraid I would lose a lot of time having my students cut out the cards, so I made border-less cards with functions my Pre-Calculus students will see throughout the year. Pages 1 and 2 are the framework for the foldable. You print pages 1 and 2 back to back and students cut out cards 1 – 4, folding the remaining flaps in. (Override your printer’s complaint that the margins are small.) Cards 1-22 are graphs of equations encountered in a typical Algebra II class. Cards 23-36 are more likely to be studied in Pre-Calculus. 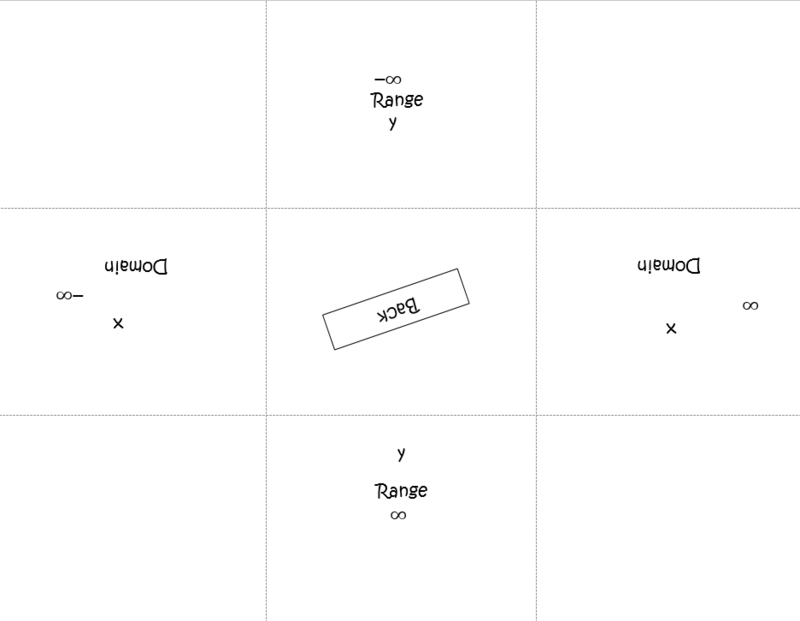 The blank coordinate planes can be used for equations/functions I didn’t think of or could be used as an activity (I describe while you draw). I anticipate that we will go back to these cards frequently as new topics are introduced. Here’s the link to the Word document of the interactive box and cards.